Politicians are racing to show the world how quickly their countries can go green. At least 10 other countries have set sales targets for electric cars. 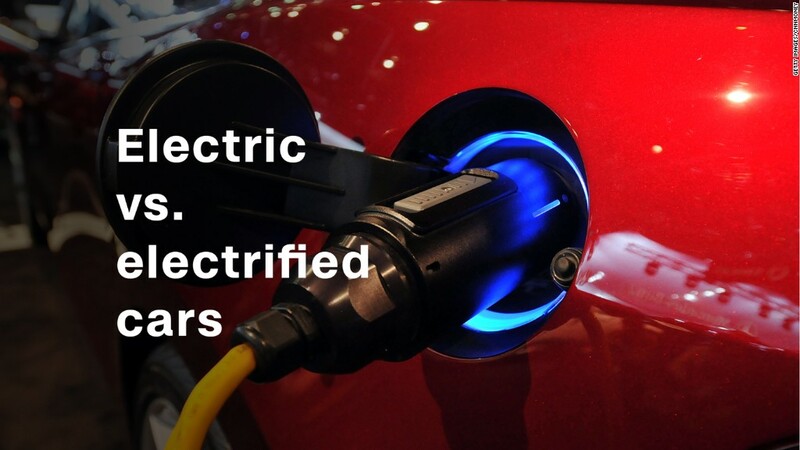 With electric and hybrid vehicles accounting for just 3% of global auto sales, according to IHS Markit, the goals are best viewed as political aspirations. "It's really unclear. These are political statements. Until we get more details, it's really hard to understand what the implications really are," said Al Bedwell, a director at LMC Automotive. Britain: The U.K. said Wednesday that it would ban sales of new gasoline and diesel cars starting in 2040 as part of a bid to clean up the country's air. "We can't carry on with diesel and petrol cars," U.K. environment secretary Michael Gove told the BBC. "There is no alternative to embracing new technology." Nearly 2.7 million new cars were registered in the U.K. in 2016, making it the sixth biggest market for car sales in the world. Stephanie Brinley, senior autos analyst at IHS Markit, said getting rid of gas-guzzling cars would be difficult. But if politicians are serious, manufacturers will have to respond. "The big automakers are highly unlikely to just abandon the market," she said. "They'll find a way." France: The government announced earlier this month that it wants to end sales of gas and diesel-powered vehicles by 2040 as it fights global warming. India, which suffers from an especially acute air quality problem, is home to many of the world's most polluted cities. But it's also a country where policy can make a big difference. If families purchasing a car for the first time are able to buy electric, the country could leapfrog ahead of some developed economies. The country is considered a leader in this area. About 40% of all cars sold in the country last year were electric or hybrid vehicles. The others: At least 10 other countries have electric car sales targets in place, according to the International Energy Agency. Austria, China, Denmark, Germany, Ireland, Japan, the Netherlands, Portugal, Korea and Spain have set official targets for electric car sales. The United States doesn't have a federal policy, but at least eight states have set out goals. China -- which buys more cars than any other country -- is also the largest electric car market. China accounts for more than 40% of the electric cars sold in the world and more than double the number sold in the U.S., according to the IEA.